Vaporizers are not exactly a new advancement in technology exactly. It’s been said that our ancestors used to heat up rocks to a point where they would put ground up herbs on it, then inhale the vapors. 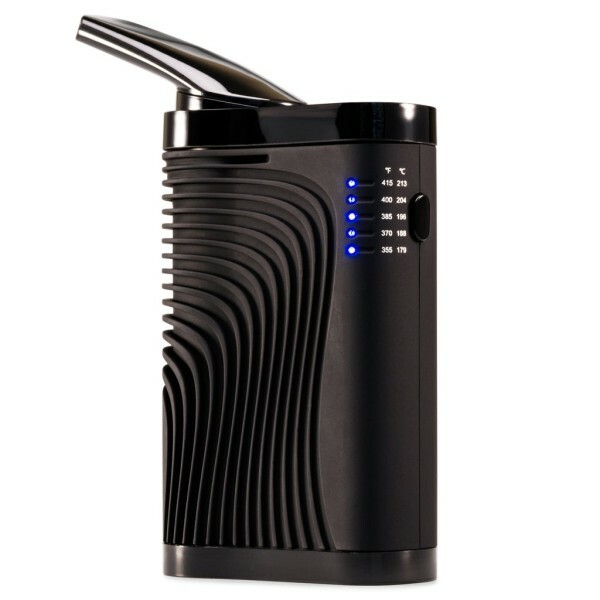 However, the new forms of vaporizers you see everybody carrying and using nowadays are fairly new. Even newer than dry herb vaporizers are dab pens, wax vapes or a wax pen. 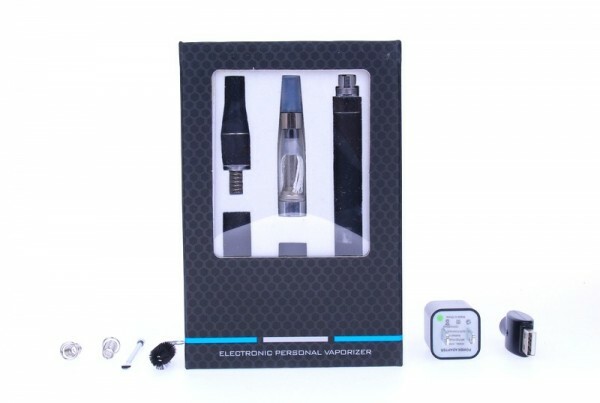 Exactly as the name says, these are vape pens that are used for concentrates like wax, shatter or crumble. 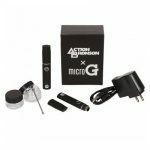 They generally come with different atomizers to vaporize your herbs and some even come with the ability to change the temperature on the battery. Wax vaporizers work very similarly to herbal vape pens with a bit of a difference in the atomizer. Vapes for dry herbs tend to be flat and circular providing a convection-style vaporization. Conduction style heating has a hollow oven chamber with the heat coming from around the chamber. For concentrates, the wax generally sits directly on the coil for it to heat up and melt. Take a dab tool (which usually comes with your vape pen) and “dab” a bit of your concentrate directly on the coil in the center (because once it melts it will run around or melt off). It is very crucial that you do not pick or hit the coil too hard as it can break off once it gets brittle after many uses. Hit the power button and leave your finger on it for about 3-4 seconds (which is enough for the coil to heat up and turn your concentrates into vapor). When inhaling the vapor, do it very slowly as pulling it hard can cool the coil and wax down and that makes it counterproductive. Ceramic plate. This is the best and most effective way to vaporize your wax. The ceramic plate is a small white ceramic surface that you can dab your wax directly on. It is one of the most popular and safest ways to vaporize your waxes because there is no toxin for it to give off. Some companies will have the plate be a bit smaller and have it run off to the sides. You can then scoop up the non-used concentrates and dab it back on the plate. Quarts. Quartz is a colorless or a hard white type of rock that consists of silicon dioxide. In an atomizer for a vape pen, it is wrapped around a steel coil. Quartz comes from igneous, sedimentary or metamorphic rocks which usually have a high temperature point. Ceramic Rod. Ceramic is generally used very often in the vaporizer world. The reason for this is because of the high heat point it has which means it can last long while being heated over and over again. It also does not absorb any wax which means whatever it heats it generally turns into vapor before giving it an opportunity to slide around. You can scrape the remaining residue and dab it back onto the ceramic rod. Silica Wick. Silica wicks are wicks that are used in mechanical mods or e-cigs which allow you to rebuild your own atomizer. For wax pens, they are generally surrounded by a steel coil. The silica wick absorbs most of the wax. This is a good thing because you can vape from it again without reloading it. However, the bad part is that you must make sure the wick is wet or else the coil will dry out and stop working. It can also get brittle and break off if you pick at the coil too hard. Temperature control settings on a wax vape pen are important because not all concentrates are made the same. Some are wetter than others while others are a bit harder. 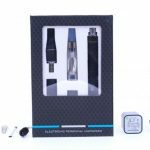 Concentrates generally need a higher temperature to vaporize and this comes into play when you are using a triple-use or multi-use vaporizer. A triple-use vaporizer is one that can be used with herbs, waxes and even liquids or oils. You usually just change the chamber or add a pad in there, but not all materials vaporize at the same temperature so that is a feature you want to make sure is on your next vape. Health. Smoking comes with many risks, but one of them is the fact that the smoke you are inhaling is really hot. This can do a lot of damage to your throat and lungs as it is harsh on your system. Over time, the heat can cause different diseases and even cancer. Discreet. A big reason why people use wax vape pens over other devices like a dab rig is simply because of mobility and discreetness. It’s hard to lug around a big glass unit with a torch, but it’s easy to put a pen-sized device in your pocket. Save Money. A lot of people say vaporizers are expensive, but in all honesty they just have a larger upfront cost. However, you waste much less of your concentrate material then with a dab rig. A wax vape pen has many more benefits than a dab rig in many ways. A wax vape is much more portable and fits into small areas like a pocket for handy use. It is also more discreet. A dab rig requires you to heat it up for about 30 seconds and then smoke it like a water pipe, where as a vape pen is discreet and quick. The only benefit to a dab rig is the taste of it is very pure and clear. A wax vaporizer will sometimes need a new atomizer if it begins to give off a bad taste. BUD SAYS: Anything else you think we should add? Please let us know!